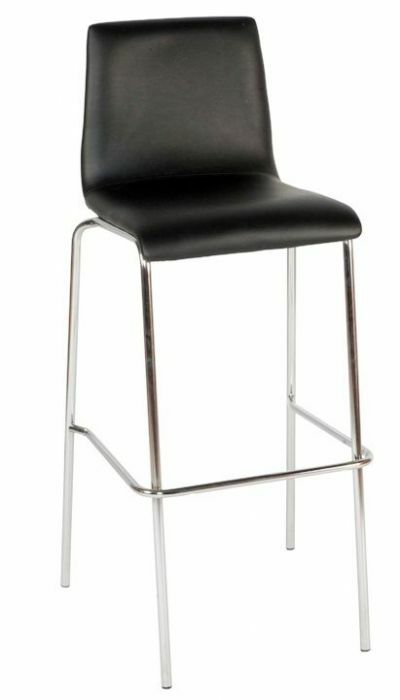 Upholstered four leg bar stools in wipe clean Black faux leather. Sturdy four leg frame and available from stock for a free and fast delivery service. These chairs are delivered flat packed for an easy self assembly.